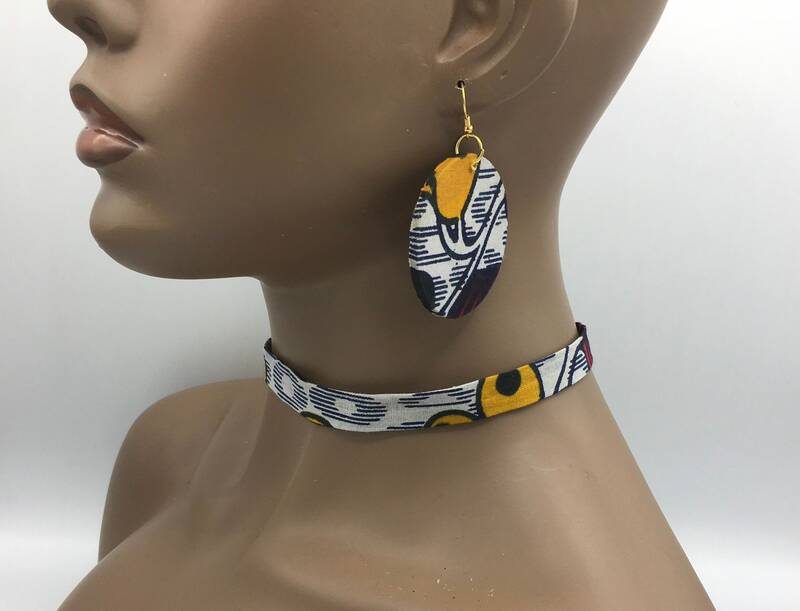 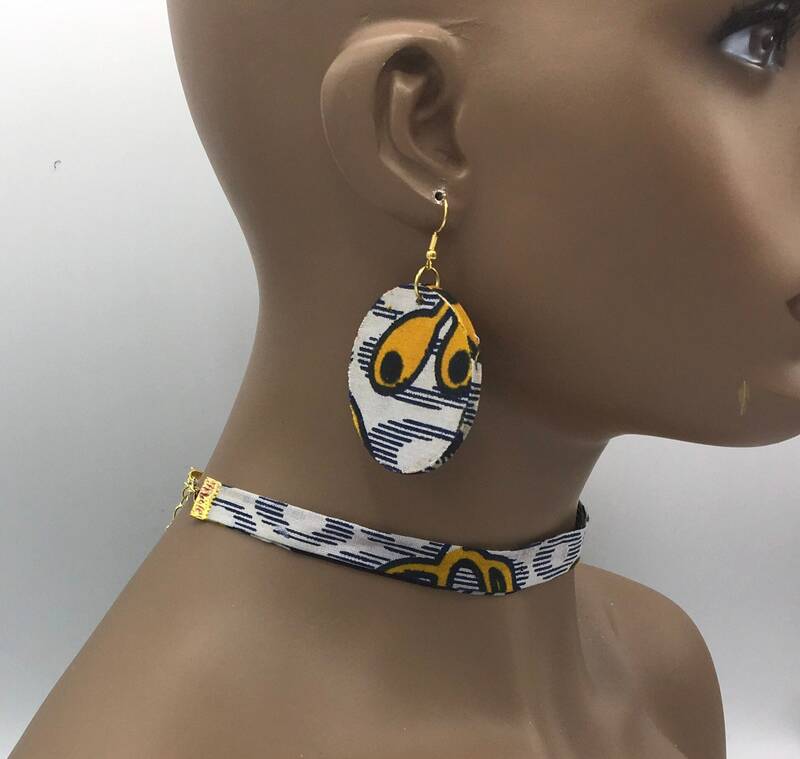 Beautiful vibrant Ankara choker. 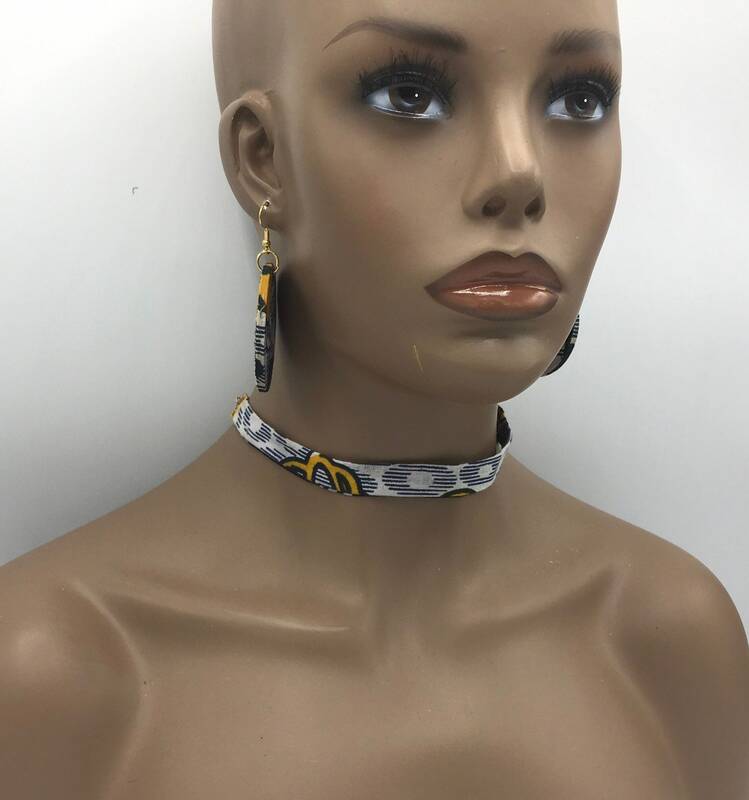 The choker measures 13 1/2” with an additional 3” extender and 1/2”:width. 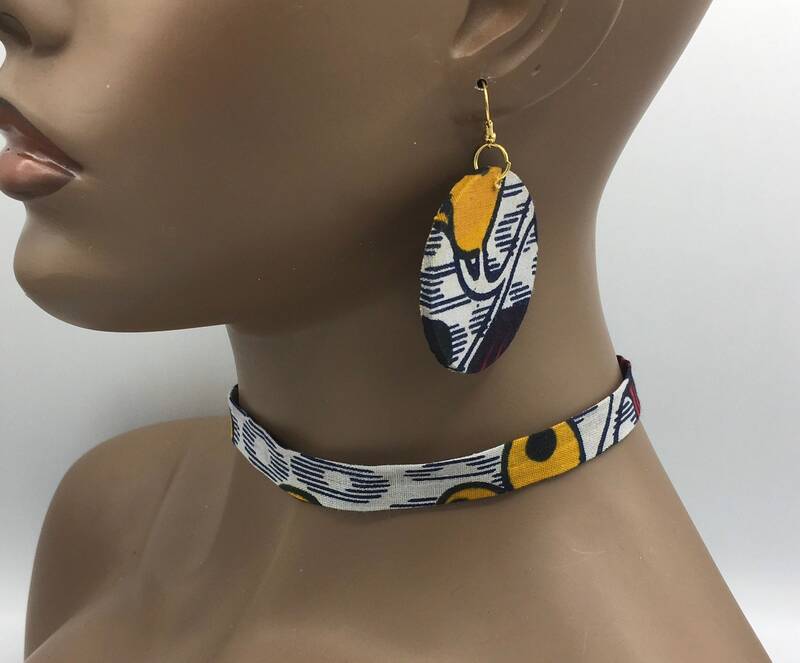 Due to fabric cutting, you may receive a slightly different necklace for a truly unique piece.